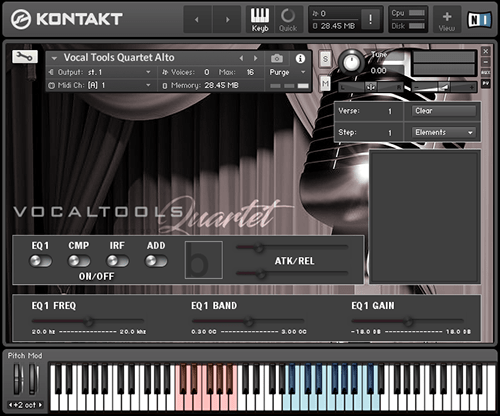 Vocal Tools Quartet is special edition bundle of the four-part (S A T B) Vocal Tools solo voice series. The VTQ bundle is enhanced with Bela D Media’s newest GUI and a stream-lined V script. The price point is obtainable for those who do not wish to invest in the full series. The only reduction of sampled data is the removal of Latin style vocal elements. VTQ includes all standard sung elements such as AHH, TOO, VEE and many more derived from the chromatic recorded phrases.